•Quality materials result in soft, comfortable, durable bags pleated sides increases the volume but not the length. •Protects skin from pressure points by placing leg strap connectors and drain valve away from direct contact with leg. 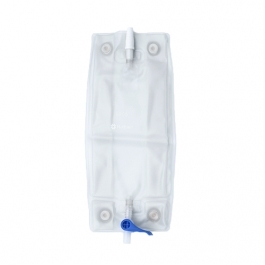 •Safely and easily conducts urine through its drain valve; easy to open, closes securely even with limited dexterity.